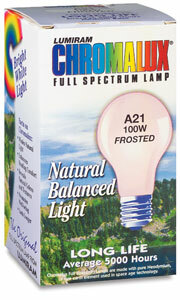 Chromalux creates the most natural indoor light! Use this sturdy aluminum stand with a Chromalux full-spectrum bulb for the closest possible incandescent simulation to daylight. Chromalux bulbs don't distort colors — they enhance colors by absorbing yellow and dulling other components. 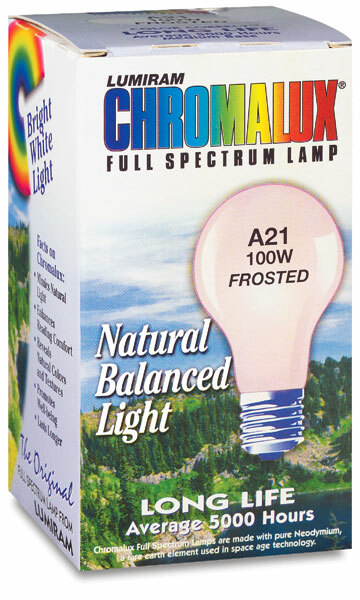 These frosted blue bulbs have a color temperature of 3200°K and are rated to last approximately 5,000 hours. ® Chromalux is a registered trademark.